I will admit that I am pretty obsessed with this polish. 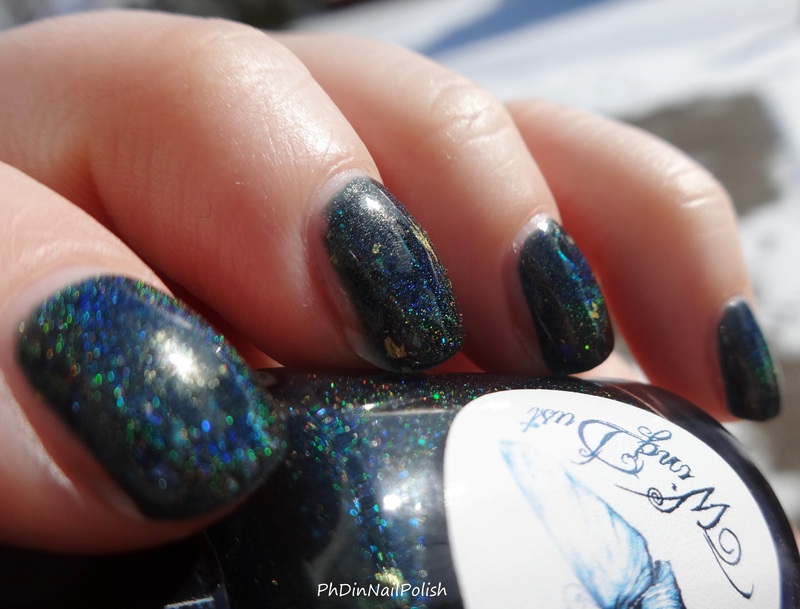 I saw this polish about a year ago, and it’s been a huge lemming ever since. 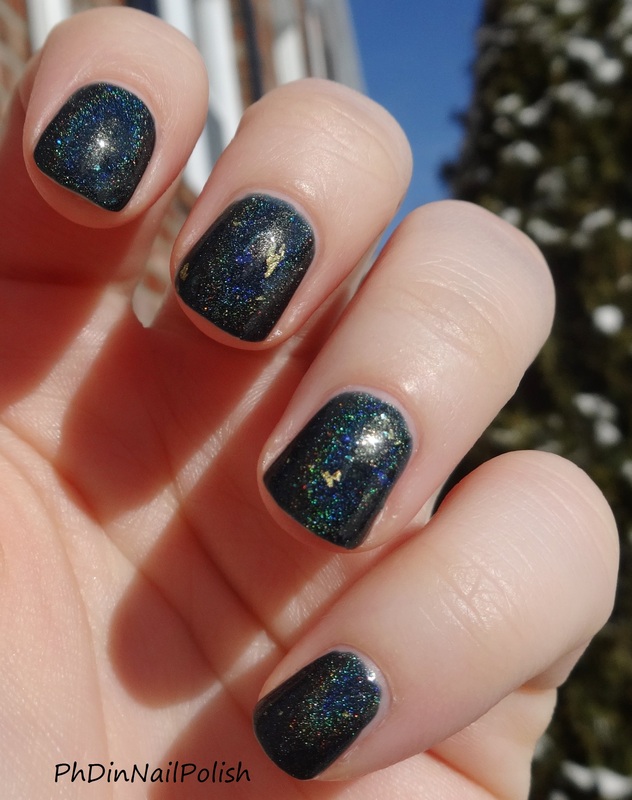 I love that it has a combination of a ton of things- holo, gold flakes, iridescent shards, the whole shebang. So when I finally caught it in a restock in November, I was super excited. Now I’ve finally got it on the blog! 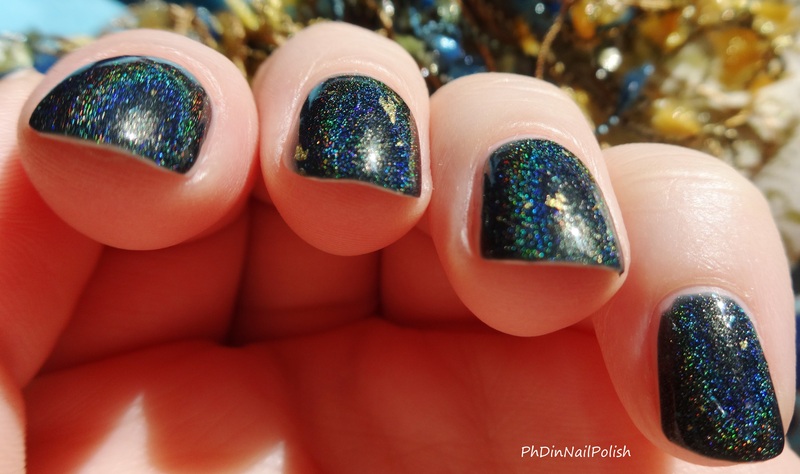 I’ve been looking at swatches of this polish on different sites and blogs, and I swear that mine looks different on the nail- darker, more opaque, and more teal. I find this a little odd, but I have to say that I am not at all disappointed. I love it this way. Who need steel when there is teal?! You’re looking at two coats, with one layer of top coat. And boy did it just last and last. I wore it for more than a week and didn’t want to take it off. I was a little worried with the first coat: the polish is a little thick (being jam-packed with different things), and I briefly struggled to make it go on evenly. And then magically the second coat was a complete breeze and everything looked perfect! Huzzah! 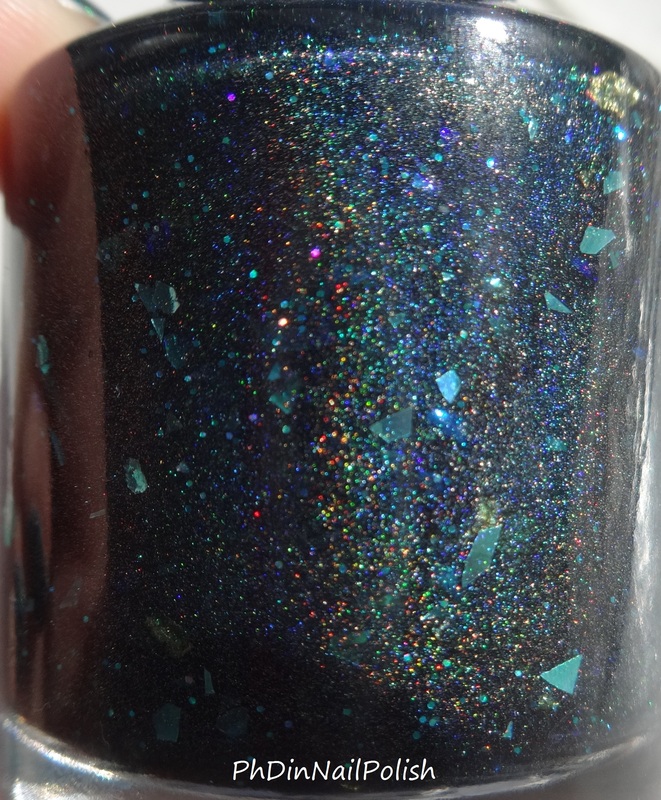 The holo in this is so strong, both indoors and outdoors (and the sun came out briefly just so I could photograph it)! I feel like the shards and flakes went on fairly evenly and smoothly. So smoooooth. WingDust Collections has their own Etsy site, so if you’re interested, definitely check it out. 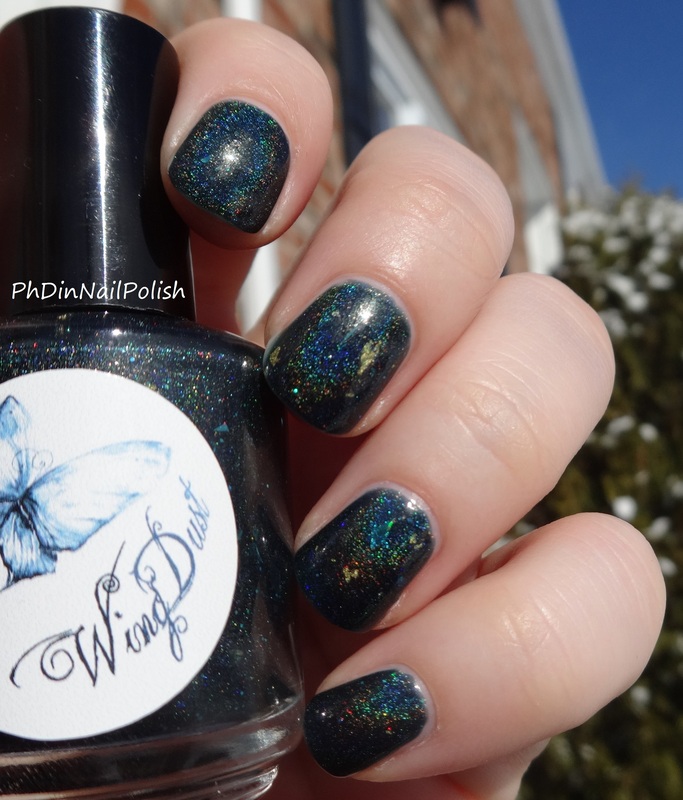 Steel Town Girl is out of stock at the moment, but you can also follow WingDust on Facebook to find out about restocks. You can also add it to your wishlist on Llarowe (which is where I got mine from). P.S. I’m working on my photography technique- what do you think? I’d love to hear what you think “works” and what doesn’t!